While efforts are underway to whip up national sentiment against China for its “support” to terrorists across the borders in Pakistan, facts have come to light suggesting that the boycott calls to ban on products from China, India’s largest trade partner, are unlikely to succeed. 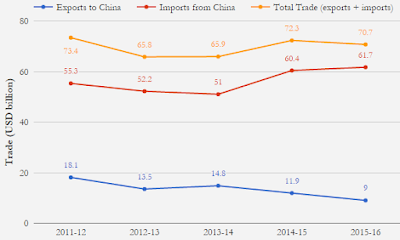 Data, culled out by other sources, say that while China imports only 0.8% of its total imports from India, India imports a whopping 12.4% of its total imports from China. 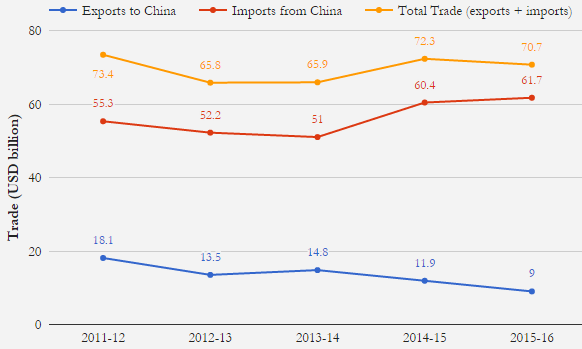 On the other hand, China exports only 2.3% of its exports to India while India exports 4.3% of its exports to China. Those who are insisting on the ban on Chinese goods include Sharad Yadav of Janata Dal (United) from Bihar, Himanta Biswa Sarma, the newly inducted finance minister of Assam, and Anil Vij, health minister of Haryana. The Gujarat Chamber of Commerce and Industry (GCCI) has joined the bandwagon, “urging” its members as well as the general public to boycott Chinese products, saying the neighbouring country is working "against our national interest". China was referred to as the ‘world’s manufacturing powerhouse’ by former Reserve Bank of India governor Raghuram Rajan and chief economic advisor Arvind Subramanian in a February 2006 research paper. India, however, “failed to match its neighbour in this process”, asserted the paper, published by the US-based National Bureau of Economic Research. Already, retailers say, they cannot be a party to the call to ban Chinese goods, because they are “cheaper” than those made in India. Fifty different types of LED lamps sold in the retail, for instance, are all from India, because the ones manufactured in India are twice costlier. The retailers buy up things China in such small market-towns like Yiwu — comparable to Varanasi in terms of population — which they consider as a “one-stop, dedicated market for all consumer durables, from fashion to home accessories, with cost and quality options.” he said. According to them, if they were to hunt for these goods in India, it would take them weeks. 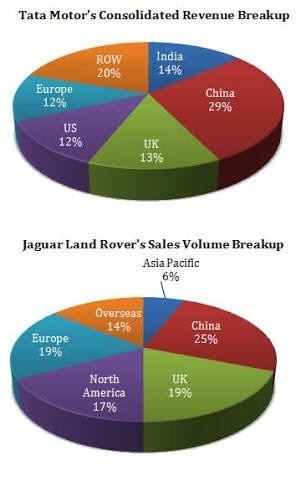 Analysts also point out that if China were to ban Indian products, among those that would suffer the most would the Tata Motors, the largest automobile company of India. It sells its goods both in domestic market as well as it exports the goods in various countries, with China topping the list. While India’s commerce minister Nirmala Sitharaman told the Lok Sabha in April this year that a complete ban on the import of products from China or any country "is not possible now due to WTO rules”, more recently, defence minister Manohar Parrikar has said, “As a country, we can't put a ban on imports of Chinese products”, adding, the decision to buy Chinese products can be taken at individual level."